Ha Long is a tourist destination composed of many islands, so to find a good food & drink here is not easy. The secret for eating and drinking while traveling to Ha Long that Origin Vietnam Travel will introduce to you today is a good place to eat in Ha Long. It's the tourist center of Ha Long city. So there are many restaurants in Bai Chay area. But which one is best for you? there are many restaurants in Bai Chay area we would like to recommend to you as below. - Cua Vang Restaurant: Located at 32 Phan Chu Trinh, Bai Chay Ward, Cua Vang Restaurant is also very famous. The space is luxurious, the best dishes are crab hotpot, good service staff. The selling price is from 50,000 VND to 300,000 VND, opening hours are from 10 am to 10 pm. 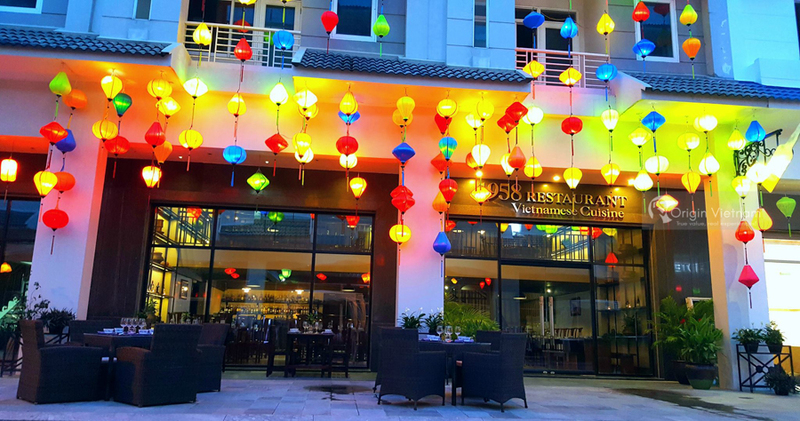 - Thanh Thuy: Located in 108 Anh Dao, Bai Chay Ward, Thanh Thuy is a seafood restaurant that is both the most affordable and the most popular in Dao Garden. Prices range from 70,000 - 120,000 vnd, with some seafood. The food here is quite deliciously. Time opening from 6am - 11pm. - Linh Dan Restaurant: At 104 Bai Chay, Ha Long City, Linh Dan is a very famous restaurant in this area, with skilled chefs, very professional. The restaurant often welcomes large delegations. Price from 60,000 - 165,000, open from 7h - 22h30. 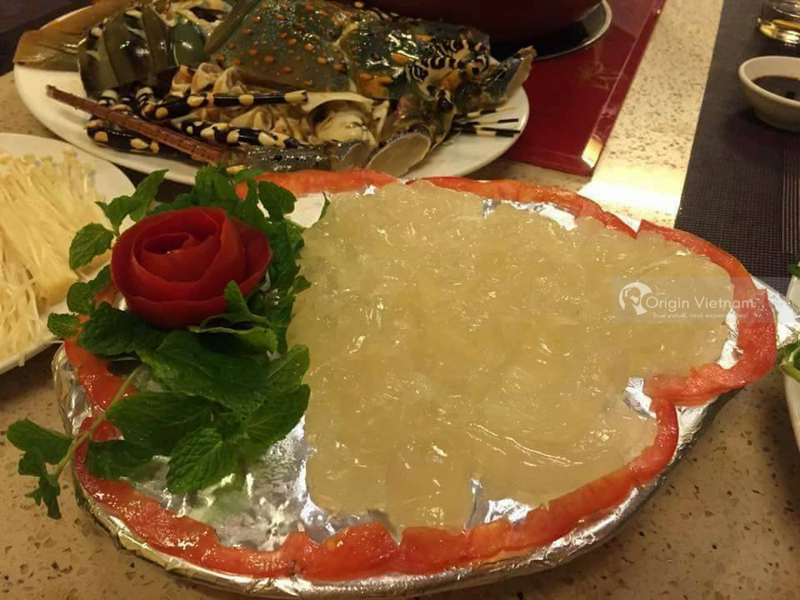 - Thien Anh Restaurant: At Cai Dam Urban Area, Bai Chay Ward, Thien Anh Seafood is highly appreciated by many fresh seafood, fast service and reasonable price. Prices range from VND100,000 - VND440,000, open from 8am - 11pm. 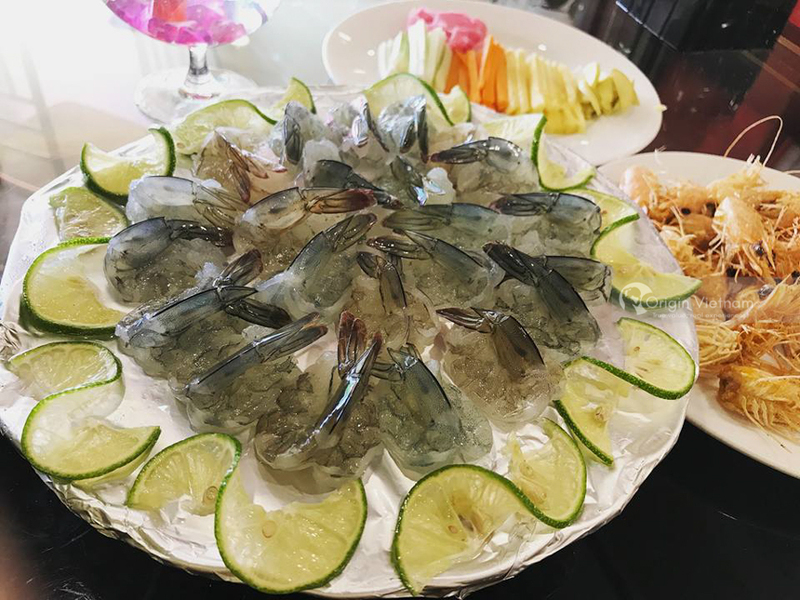 - Seafood of Thuy Chung: Address at 4 Cai Dam, Bai Chay Ward, Thuy Chung Restaurant is one of the biggest and most beautiful restaurants in Bai Chay area. The food here is very good, especially snails and fish. The selling price is from 80.000 - 220.000 VND, opening hours are 9am - 22h30. 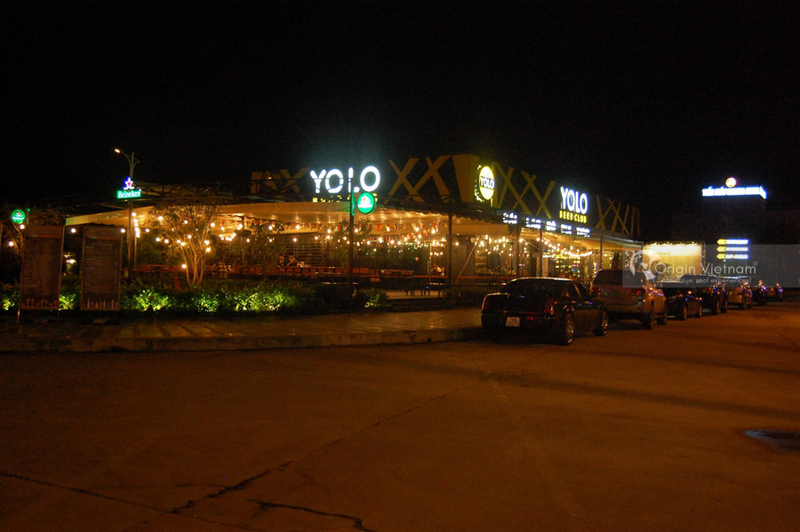 - Yolo Beer Club Restaurant: Address at DV 14, Tuan Chau Port, Bai Chay Ward, Yolo Beer Club is open from 8h30 - 24h. This place is a comprehensive restaurant with coffee, bar, restaurant, beer bar with space up to several hundred m 2 . Guests can enjoy both listening to music or sitting outside to watch the sea. Price of dishes from 100.000đ - 5.000.000d. - Restaurant 1958: In Ngoc Chau, Tuan Chau, 1958 restaurant is open from 9am - 11pm. Price of dishes from 100.000d - 500.000d. 1958 has space is decorated in luxurious style, cozy, indoor and outdoor seating area for visitors. The food rated as the most delicious with served enthusiastically. - Cat Bay Restaurant: Located on Ngoc Chau street, Tuan Chau island, Cat Tien restaurant is famous for its beautiful view overlooking the sea, guests can see the white sand beach, coconut trees romantic and curved north bridge. horizontal sand dunes. Sand Bay open from 9h - 23h, selling price from 50,000 - 400,000 VND. - Hong Minh Restaurant: Located 800m from Tuan Chau Gate, so it has convenient transportation. The restaurant is designed spacious space, nice with many specialties of Halong such as surface, squid, chicken hills, fresh seafood ... Also there are wild dishes of the North also Pretty good. Hours open from 8h - 23h, selling price from 80,000 - 2,000,000 VND. Most of the big restaurants at Bai Chay and Tuan Chau in particular. Ha Long in general serve the specialties of Halong foods. Such as sea sam, cay ... Guests can enjoy the dishes. This is the first specialty to know the taste and ask experience to choose specialties when traveling to Ha Long to avoid buying low quality foods. In addition, to eat more popular, visitors can come to eat at the raft house in column 5, column 6 of Bai Chay. The house is located right on the sea so the seats are very cool, cool sea breeze, seafood is also very fresh and good prices.